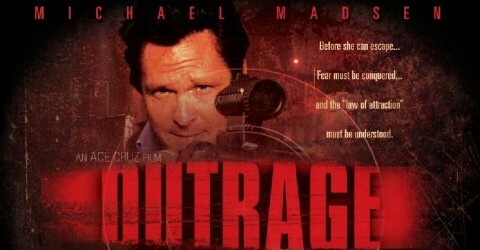 What people have to say about Outrage? It’s definitely worth a watch. Message of the movie “What you are inside is what you attract in your life”. I went to watch Outrage with this message in mind. Its a great message and the movie conveys it well. Michael Berryman has done a fantastic job as usual. Great performances by Natasha Lyonne, Michael Madsen, Michael Berryman. The director Ace Cruz has done a brilliant job considering this film was made on a budget as low as 400,000.00 USD. I attended the AOF film festival in Pasadena. The suspense kept me glued and I must say Ace Cruz did a great job. Overall the performances were good- Michael Berryman, Michael Madsen , Pauly D’s , Natasha Lyonne was the best and ofcourse Ace Cruz. The John Dillon’s waterfall stunt was spectacular and the direction was superb. Its a great message and the movie conveys it well. I liked Natasha Lyonne character Christine which I think is honest & seemed real.